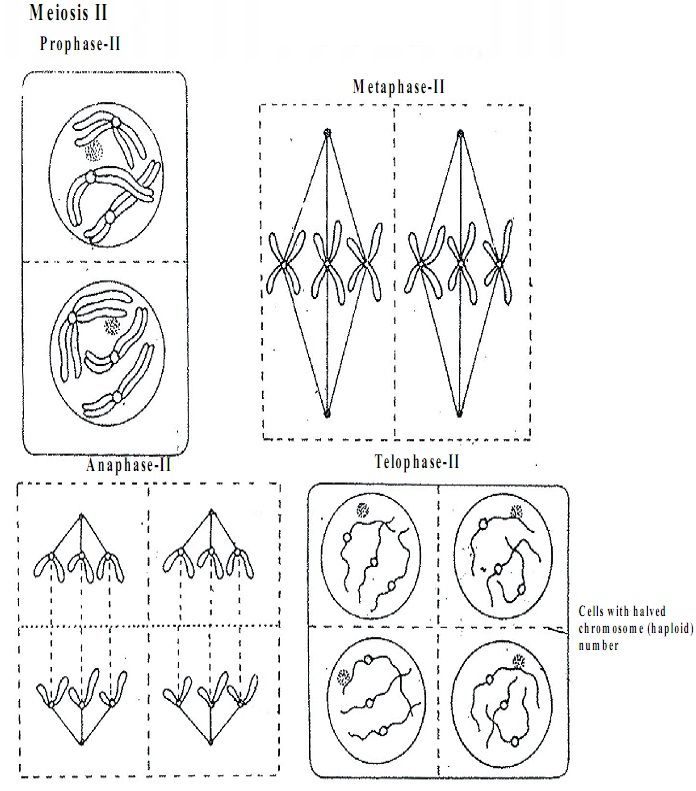 The events of prophase II are identical to mitotic prophase. The Nucleolus and nuclear membrane vanish. Spindle fiber is build up at each pole. Chromosomes shift to the centre of the equatorial plane. They get joined to spindle fibers at centromere. The sister chromatids split from one another and are pulled to opposite poles of the spindle due to the contraction of spindle fibers. The chromosomes start to uncoil and become thin. They rearrange into nucleus with the recurrence of nucleolus and nuclear membrane in each and every pole. Cytokinesis follows and four haploid daughter cells are made, the meiotic division is completed.